FREE Community Document Shredding Event benefiting Meals on Wheels for Pets and People. Consumer fraud and identity theft are becoming an epidemic in our communities. To raise awareness and to promote prevention, Mark Adams & Associates Realtors is putting on their "Shred It Up!" event benefiting Feedmore's Meals on Wheels and Meals on Wheels for Pets on March 22nd from 10 am - 12 pm. Let us help you clean your clutter! 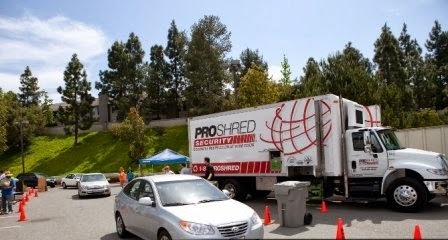 The ProShred truck will be on site to rid your home of unwanted and unnecessary papers. Bring your pay stubs, receipts, old contracts, bank statements/financial records, obsolete tax statements, credit card bills, etc. If it's paper, we can shred it safely and securely. ***When you come, please be sure to bring a generous non-perishable Pet or People food donation for the Meals on Wheels collection truck. Every donation will make a huge difference in the lives of homebound seniors and the pets they love. - - - BE SURE TO LOOK FOR Mark Adams & Associates Special Event directional signs on Broad Street and Dickens Road. Please limit 10 boxes or bags of shred-able material per car. Please exclude items with heavy metal clips, binders, DVDs, plastic folders and plastic binders. MOVE-IN READY CONDITION. Located in sought after Legacy Park - active adult community. Wonderful detached ranch with open floor plan, 9' ceilings and NO STEPS. Spacious eat-in kitchen with pantry, built-in microwave and large dining area. Sunroom with French doors to the kitchen and sliding glass doors to the patio. Family room offers gas fireplace and is open to the kitchen. Large master bedroom with 11' deep walk-in closet and master bath. Guest bedroom also has private bath access. HOA includes gutter cleaning, snow removal, grass cutting, leaf removal and association amenities.